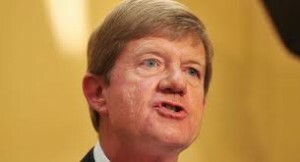 Colorado House Rep. Scott Tipton. The bill that hobbled DEA’s pursuit of out-of-control opioid pharmaceutical distribution passed the House on a voice vote, so no record of individual votes was made. A blockbuster CBS News/60 Minutes and Washington Post investigation reveals that after the U.S. Drug Enforcement Agency (DEA) cracked down on big pharmaceutical distributors who were knowingly pumping millions of addictive opioid drugs into the black market in cities and towns across the country, the U.S. Congress passed a law to block DEA from freezing such highly suspicious drug shipments to keep them from getting to the streets. CBS interviewed former DEA deputy assistant administrator Joe Rannazzisi, who, with his team of DEA investigators in 2013 were starting to crack down on what they called a major “choke point” of the opioid epidemic — pharmaceutical drug distributors that were sending large numbers of highly suspicious shipments of drugs to pharmacies across the country. In one example, the DEA found a pharmacy in Kermit, West Virginia, a town of just 392 people, that had ordered nine million hydrocodone pills over two years. In another example, the DEA found that between 2007 and 2012, an Ohio-based drug distributor named Miami-Luke had shipped 20 million doses of oxycodone and hydrocodone to pharmacies in West Virginia. About 11 million of those pills ended up in a single county, Mingo, with a population 25,000. West Virginia now has the highest rate of opioid overdose deaths in the country. The DEA had the ability to freeze such shipments when they were spotted, and started doing so to keep opioids from flooding the streets of the countr. Under the law, pharmaceutical drug distributors have a duty to report such highly suspicious orders, but did not. After seeing what was going on, the DEA accused the country’s biggest drug distributors — Cardinal Health, McKesson, and AmerisourceBergen — of turning a blind eye as millions of their highly addictive prescription pain pills were getting pumped into the black market, particularly in Appalachia. Together these three major distributors control about 85-90 percent of the country’s addictive opioid drugs. The DEA fined the companies tens of millions of dollars for failing to report such highly suspicious shipments to the DEA. But soon after the DEA started cracking down on these big shady drug distributors, drug industry lobbyists went to work to hamstring the DEA’s enforcement ability. They got a law passed that stripped the DEA of its most effective tool to fight the spread of dangerous narcotics: freezing the suspicious shipments of narcotics. This tool allowed the agency to stop millions of dangerous addictive pharmaceuticals from getting to the streets across the nation. The description of the 2016 law said it was “a bill to improve enforcement of efforts related to prescription drug diversion and abuse,” but it actually put so many additional burdens on the DEA prior to the agency blocking suspicious drug shipments that it in effect made it impossible for the agency to block such shipments. The bill was introduced by four-term Republican House Rep. Tom Marino (R-PA), who incredibly is now President Trump’s nominee to become the nation’s next drug czar. The bill was co-sponsored by Republican Representative Marsha Blackburn of Tennessee, who is now running for Senator of Tennessee, which is one of the states hardest-hit in the opioid epidemic. Blackburn is running to replace Sen. Bob Corker, who has said he will not run for another term. Washington Post’s story on the triumph of the pharmaceutical companies over the DEA is here. CBS’ 60 Minutes segment on the story is here. These stories are a must-read before you vote any more Republicans into office. We are a failed state…all work and regulations done to benefit corporations. We have no governement we only have corporations. If you think the government is the problem, check again, there is none. All bought and paid for by corporations, Congress working hard for their donors. Keep in mind we would still be in the midst of an opioid crisis if the DEA had been allowed to act unfettered. It’s simple economics, the DEA chokes off one supply and another pops up. This time it is the drug cartels who were ready willing and able to fill the demand but with a much more deadly and totally unregulated product. Rather than sending in the DEA cowboys guns a blazing, a caring and civilized society would send teams of treatment specialists to monitor clinics suspected of opioid misuse, audit the patients and devise treatment plans designed to wean them from their addiction. Then enforcement action could be taken against the supply chain. We are a society which has lost the ability to govern itself let alone treat social ills with anything short of imprisonment. Another fox slated to guard the henhouse!